CALL US TODAY 603-748-5782. WE ARE NOW SCHEDULING CONVENIENT EVENING AND WEEKEND APPOINTMENTS. We are a full service, family owned, shop-at-home, custom window treatment dealer. We have well over 24 years of professional, hands on experience. Our professionalism and customer service is incomparable. We pride ourselves on providing you with the perfect product to fit your home, budget and needs! Shop local and find out just how affordable custom window coverings can be! We are competitive with big box stores and corporate franchises. With no franchise fees and our low overhead, we are able to offer higher quality products at far better prices. Covering all of NH, Northern MA and Eastern VT.
Blinds, Shades, Shutter, Draperies, Cornices, Curtains, Motorization, Smart Home, Google Home and Alexa compatibility. Wood blinds are the natural choice for almost any décor. Like fine furniture, they reflect a lasting level of quality and comfort. Cellular / Honeycomb shadings - Discover the beauty and energy efficiency that these popular, versatile shadings can provide. 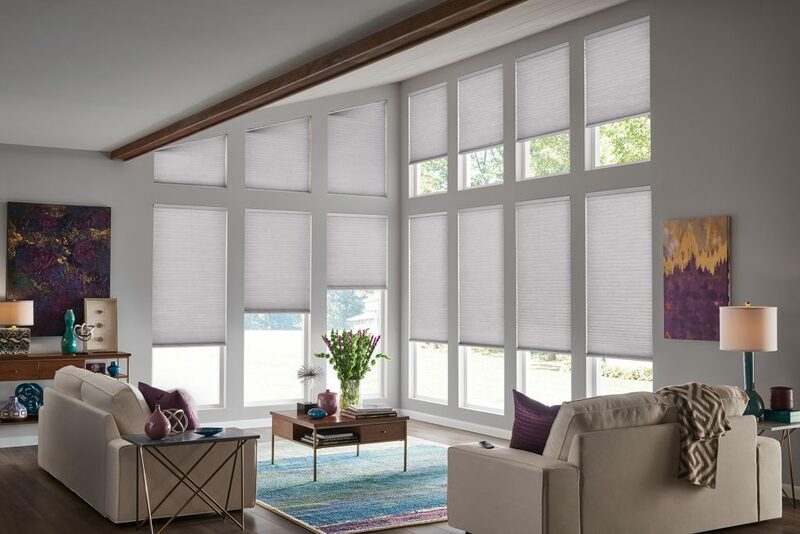 We offer an extensive line of cordless window coverings. We always make sure your cords are properly tied down or out of reach. Don’t commit to anywhere without comparing our quality and value! Call today for a free in-home consultation 603-748-5782, or please fill out the form below. We will get back to you as soon as possible. We cover all of New Hampshire! Outstanding, attentive service and expert installation from Preston. We are completely satisfied with the various types of shades we purchased from Sunapee Shade and Blind.